Galpin Auto Sports today announced it has entered into an agreement with Shelby American to become the only authorized Shelby Mod Shop in the Western United States. Now today, the only two authorized Shelby Mod Shops are Galpin on the west coast and Tasca on the east coast. In fact, the Boeckmann and Tasca families are still dear friends and work together to this day. As an authorized Shelby Mod Shop, GAS can take any Shelby car, upgrade its performance or styling and the work is endorsed by Shelby American. 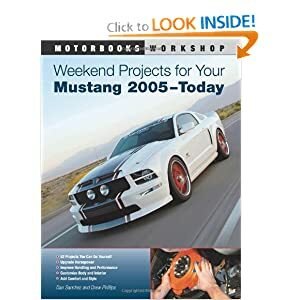 Subsequently, any modifications performed will be documented in the Shelby Registry that chronicles the entire life of a Shelby vehicle maintaining the vehicle’s integrity and authenticity as a Genuine Shelby. There are many great shops out there, but only Shelby Mod Shops provide customers with Shelby American’s stamp of approval for providing quality service using authentic, quality Shelby products. Since Shelby owners are car enthusiasts and lovers of all different cars, the Galpin Shelby Mod Shop has the ability to provide Shelby’s legendary style and performance upgrades even to vehicles other than Shelby models. In fact, whether it’s a Ford GT, Corvette, Camaro, Challenger, or even an off-road truck like Raptor, each vehicle modified will leave the Galpin Shelby Mod Shop with a Shelby certificate and engine plaque authenticating the work performed on their vehicle. Inside the GAS showroom, Shelby enthusiasts will also find a wide selection of Shelby branded memorabilia, apparel, merchandise, and parts for the Do-It-Yourself enthusiast. For additional information about the Galpin Shelby Mod-Shop and GAS please visit galpinautosports.com or call 877-GO-GAS-GO. For information on Shelby American and its products please visit shelbyamerican.com or call 702-942-7325. 2013 Shelby GT500 with 600+ horsepower in the works?